This is a gritty, angsty read about two hunt saboteurs who have devoted their lives to their cause. It’s a dark story that examines the secretive lives of activists living on the far fringes of society. I was thoroughly engrossed by the book, but it wasn’t an easy read for me. Rae and Cash are difficult characters and both are unlikely leading men. Rae exists outside of society and his criminal activity is not easy to justify. Cash straddles the line between Rae’s world and mainstream life. In some ways, he feels like a recovering addict who is pulled back into his addiction. Cash and Rae’s shared obsession brings them together but there is little in the way of traditional romance in this story. The saboteur lifestyle feels like a shared addiction and my reaction to Rae and Cash feels more similar to the almost perverse voyeuristic shock I get from an Irvine Welsh story than the warmth and comfort I usually seek from romance. Cash and Rae inhabit a parallel world and I was captivated by the details of their lives, and the violent clashes between hunters and saboteurs were fascinating. This is marketed as a romance but I’m not sure it will please fans of traditional romance. Rae’s life as a hunt saboteur is the focus of the book and the romance between Cash and Rae starts with a hook up and doesn’t include many traditional romance tropes. However, while this took me by surprise, it worked for me. The story is different. It’s interesting and I enjoyed the challenge posed by the anti-hero characters. This is described as a sequel to Lucky. We met Cash through Lucky in the first book and he is Lucky’s roommate in this one. However, the content and tone is quite different in this second book and I’m fairly certain readers will be able to get into Cash and Rae’s story without reading Dom and Lucky’s book first. This book wasn't for me. I am not sure if it was the fact that animals were involved or if it was because the relationship between Cash and Rae seemed like a side story and the fox hunting being the main part of the book. Don't get me wrong, I am huge animal lover and I hate when anything happens to animals, even in movies when I know animals aren't really hurt. However, I am not a fan of animal hunting being the main part of a book, just not my thing. I loved the chemistry between Cash and Rae, but the lack of communication just drove me nuts. I wanted to reach into my e-reader and slap them both. I am sure this book will be a hit with some people, especially those who live in a country where fox hunting is big but for me, I just couldn't get into it. Rae is a Sab (Saboteur). He lives with a group of animal activists on land in the countryside and devotes his life to sabotaging fox hunts conducted by local rich landowners. I have to say I knew nothing of the life of a Sab. It is clear that Sabbing is a calling for Rae and that it also once was for Cash too. This is not one of those stories where I could image being one of the characters or relating to them. I was observing their life and their relationship from afar and I really felt like I had my eyes opened about a whole world I know nothing about. While I might not have been particularly able to relate to the story this did not mean I wasn’t engaged. I was. The story has a good, fast pace and at times is very intense. The romance between Cash and Rae was rocky even at the best of time but even when things were not going well, the connection between the two men was so strong that I never doubted how they felt about each other. I found Cash to be an entertaining, intense, and even educational love story and I really enjoyed it. I am a fan of Garrett Leigh but Cash just missed the mark for me. Cash's storyline revolves around fox hunting in the UK and the saboteur. I usually love a good suspense but this one just wasn't for me. As much as I liked Cash and Rae. The chemistry was there, but for me it got lost within the fox hunt. The story seemed to have the romance/relationship inserted into the fox hunt and it wasn't the focal point. 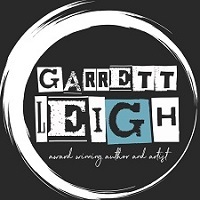 Garrett Leigh is a great author, but Cash just wasn't for me. For reviews & more info, check out our stop on the Lucky Blog Tour. 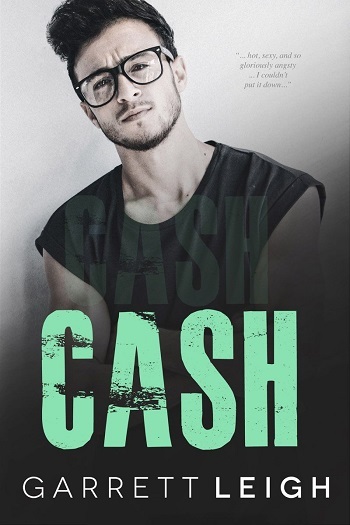 Reviewers on the Wicked Reads Review Team were provided a free copy of Cash (Lucky #2) by Garrett Leigh to read and review for this tour.